Since the first generation Bandit we have been committed to offering one single kite in our range. Our goal is not to offer just a «versatile» kite but rather the best kite for each discipline and style of rider, from the beginner to the pro athlete. 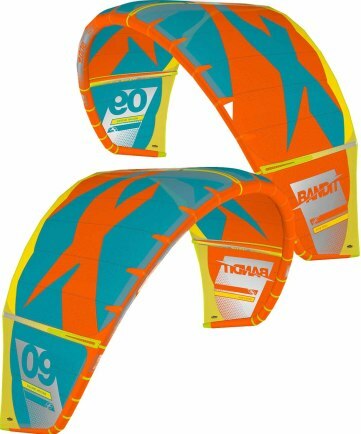 To be successful in all areas is a real challenge from an R&D perspective ; this process is proving to be much more complex than developing several highly specialized kites. The most difficult challenge faced with the B5 was to improve from the B4 in all areas without losing any of its qualities - an extremely tough call that is ongoing. 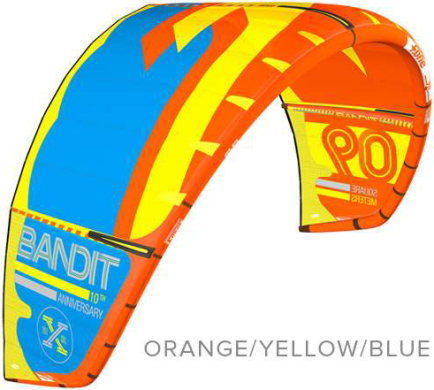 To further increase its range, we needed both a kite that you could easily power up in the low end and a kite that was even more forgiving in strong and gusty conditions. In order to improve its performance when under powered, and add to the ease of use at the bottom end its lightness was a priority. To immediately position the kite where you want it, to precisely manage its rotation during a kiteloop, and to have the most responsive kite in larger sizes, its maneuverability is crucial. This is why we have focused our attention on this particular aspect. The whole structure of the kite, its profile and its bridles have been reworked in order to achieve these goals. Its construction has also been fundamentally updated both in the choice and the distribution of materials and in the manufacturing processes. Because the structure of a kite is soft, it can deform and twist allowing the kite to rotate. 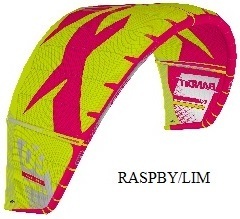 A fully rigid profile wing will not turn at all. 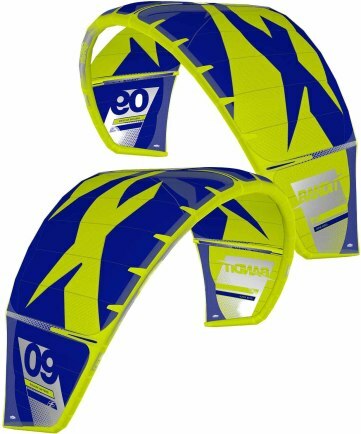 Therefore, maneuverability and responsivenessof the kite depends directly on its ability to twist, one important point that we have greatly improved on thanks to a thinner leading edge, a new 3-point bridle system and a new shape for the struts. All this to «free» the kites profile. Reducing the diameter of the leading edge, with almost 25% less air volume, brings an important gain in terms of weight and aerodynamics. The result is better performance in the low end, but in the also at the top end thanks to an improved handling thinner profile. We have also gained in terms of set up comfort as the inflation time has been reduced. A new type of flatter profile was employed. By reducing the profile curve depth it is easier to depower and keep control at the top end. In the low end, a flatter profile is more efficient when powered-up and fully sheeted in providing constant power. 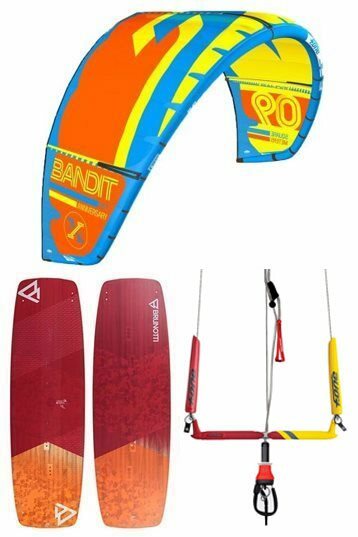 The result is a better control of the kite aerodynamics, less lateral traction and less pressure and therefore effort through your legs and into the board when the wind picks up. Finally, some important work was undertaken on the bar feeling and pressure. 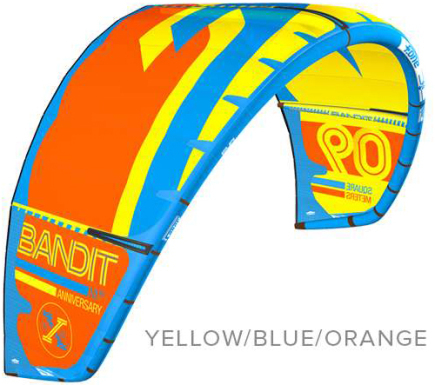 The feedback from the bar provides you with constant information and lets you know what's going on allowing you to adjust the position, the pull and the speed of your kite in the wind window at any given time? These sensations must be precisely delivered so you can receive them all without the steering becoming a physical burden. The B5 puts more effort through the harness and less through your arms. The direct bar feeling allows for the transmission of all necessary information. Each year, we test more than sixty prototypes in order to meet all our chosen criteria and we spend more than 120 days on the water to develop each new collection. With the B5 we have largely achieved all our initial objectives over the B4. Lighter, more maneuverable and responsive ; the B5 is even smoother and ultimately more enjoyable and more effective regardless of the type of riding you do. Make a all in one kite! 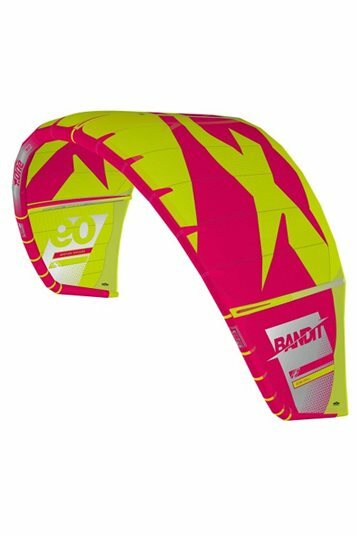 The goal of the Bandit series has always been to provide an all-in-1 kite. In its 5th reincarnation, the Bandit has been fine-tuned to become what it ultimately was designed for: a real all-rounder that does it all. 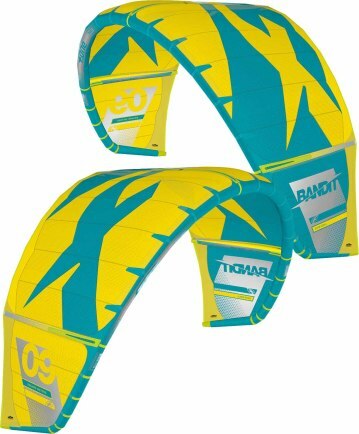 Beside its good base characteristics the Bandit 5 now possesses less pull in its high-end and its wind range has been expanded. 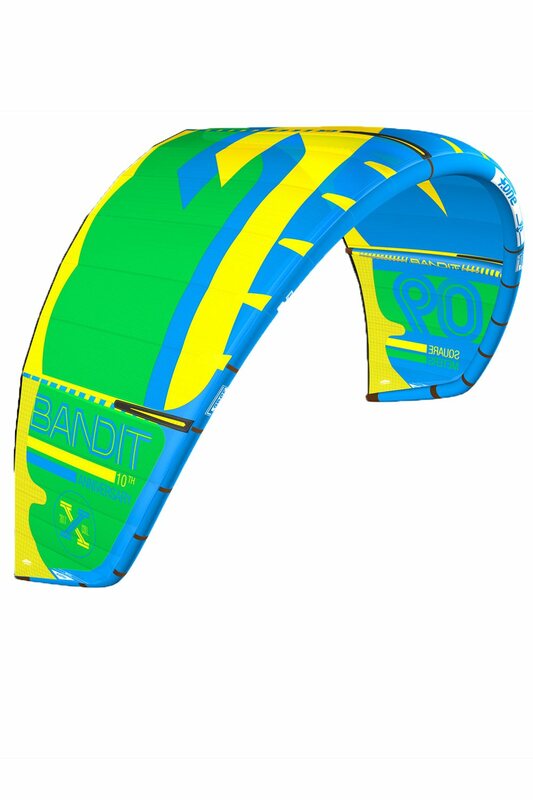 Wave riders will value the Bandit for its drift and turning speed, while starters will like its stability, feedback and broad wind range. Freestylers can expect a more explosive pop in its low-end. If you get into its high-end, the boost it provides can certainly be called a challenge. Has the Bandit 5 become a kite for everyone to enjoy? Most definitely! 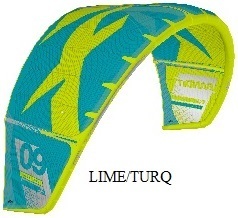 It can be employed in a broad range of circumstances and is thus a suitable kite for a large (recreational) public. The big question to answer here however is how quickly one evolves from a beginning all-rounder into a specialist in one or more disciplines. A specialist who demands more specific flight characteristics. We can certainly advise you to test it out though, it's definitely worth it. 45cm bar and fast reaction! One in all allrounder? Great low-end and easy to use! Miss some unhooked high end performance. So a Allrounder!